Pinch valves, the simplest valve design, include any valve with a flexible elastomer body that can be pinched close to cut off flow, using a mechanism or fluid pressure. They are linear motion valves that can be used to start, stop and throttle media through a system. Pinch valves are low maintenance, low weight, and can be used in systems requiring explosion-proof line closure. TCS is the Tasmanian Stocking Distributor of Steel Trough Idlers & Rollers. Manufactured to be directly interchangeable with other recognized manufacturers brands, TCS provides our customers with a quality product that meets all Australian standards at extremely competitive pricing. Manufacturer of custom molded wear resistant polyurethane products. Features include low rebound, vibration, noise reduction & ability to resist frictional wear/abrasion. Options include bond to metal & additional supports & mounts. With specially formulated burn-resistant rubber covers and spiral steel mesh reinforcement, it offers high performance in extreme hot material applications. Burn-Shield heat belt has been specifically designed for the transportation of high temperature raw materials and products. Linatex® premium rubber is a 95% natural rubber that exhibits outstanding resilience, strength and resistance to cutting, tearing and abrasion. With more than 80 years experience in handling aggressive materials, Linatex is still ranked as the premium wear resistant rubber for sliding or wet abrasion service. Designed to handle the toughest conveying applications, TCS Conveyor Belt Series fulfils the highest standards for tensile strength and wear resistance. Routinely quality tested, all TCS conveyor belts are covered by a 12 month manufacturer’s warranty. Tuffy Enduro is a trowellable wear resistant ceramic coating, which comes in a two-part system comprising a 7kg pail and a bottle of hardener. Enduro is a perfect all-purpose solution to a range of wear problems. You can use this one horizontally or vertically to protect, repair, and fill against abrasion. 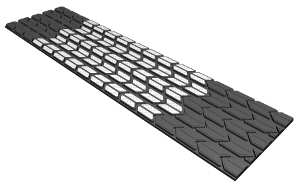 TCS offers the CQMS Razer range of conveyor skirting systems for various conveyor applications. Our systems are modular, easy to install and maintain and offer extended service life via all our stainless construction. The CQMS Razer H Series primary cleaner is suitable for vulcanised belt applications where a combination of high performance cleaning and low maintenance belt cleaning solution is required. 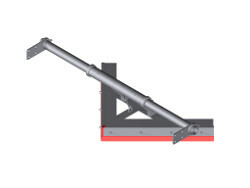 The P Series secondary cleaner is designed to situate behind the pulley where the conveyor belt is most stable. Razer Vee Ploughs provide constant protection against fugitive materials from entering into tail and take-up pulleys. Razer rubber pulley lagging is a high quality synthetic rubber lagging product utilising manufactured using our 2 polymer construction process. TCS through CQMS Razer supplies a complete range of superior plate, block and wear products. From custom designed and manufactured castings, to leading proprietary brands such as Domite® Remar® and Rubbadex®, we have the product range, technical expertise and down-to-earth service to meet all of your wear resistance needs.